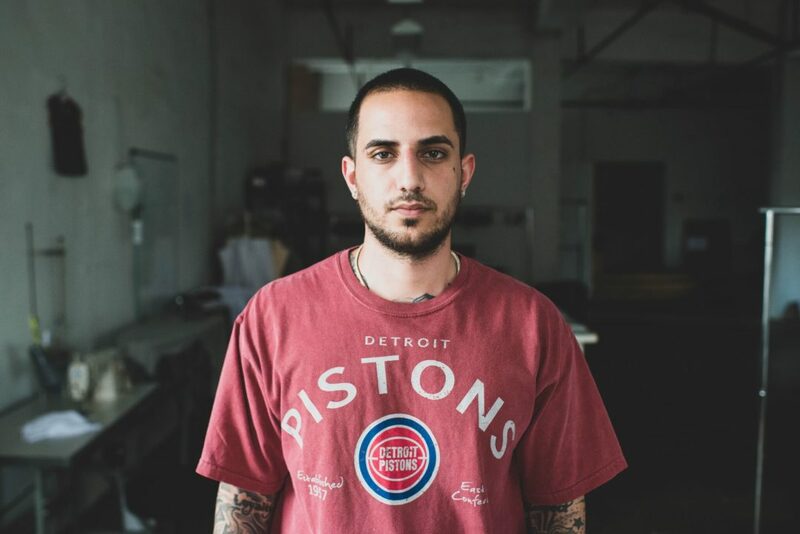 Renzo Cardoni founder and creative director Rami Mona brings the luxury sportswear scene to Detroit. Rami Mona walks through a sea of white mesh basketball shorts with a black Renzo Cardoni symbol and navy Nike logo on the side. 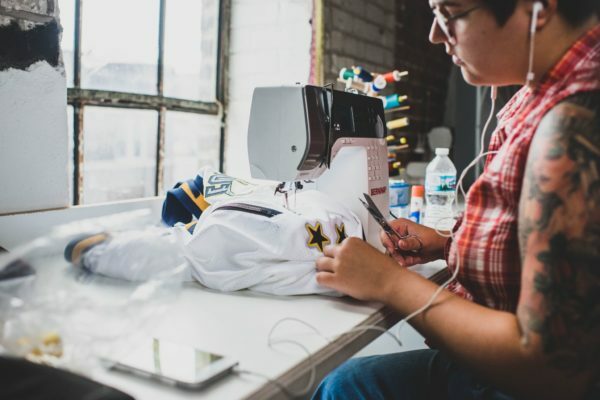 The team of seamstresses at his Detroit warehouse in Eastern Market is sewing 100 pairs for the Nike Elite Youth Basketball league, a summer program featuring the nation’s top high school basketball players. 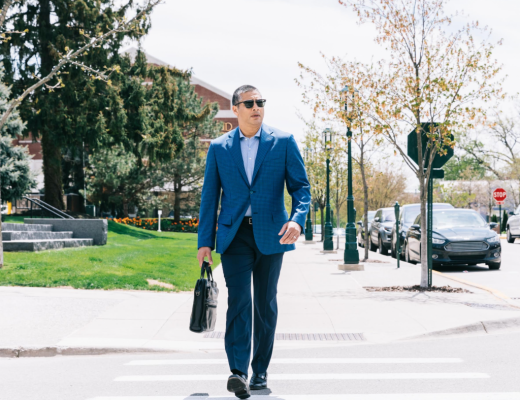 At just 27, Mona, founder of Renzo Cardoni, a luxury sportswear brand, frequently works with high-profile companies like Nike and sells his apparel to athletes and celebrities. Rami Mona speaks with one of the seamstresses at his Detroit warehouse. The Warren resident grew up infatuated by sports. His father played soccer overseas, inspiring Mona’s soccer and basketball careers during his school years. “I literally had hoop dreams,” he says. “I thought I was going to go to the NBA.” After his senior year at Fitzgerald High School in Warren, however, Mona decided to rethink his path and started designing jerseys instead. To raise money, Mona sold his entire shoe collection and started working with a friend in Detroit who knew how to sew. He took around 10 jerseys and replaced the numbers and letters with fabrics such as snakeskin, leather, suede and denim. 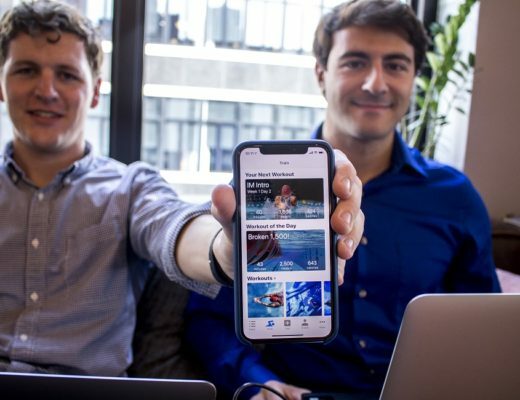 Mona posted his designs on Instagram and received praise across the platform. When he was 21, he combined his nickname, Renzo, with a street name in Detroit, Cardoni, and officially created his brand. “When I started the sports jerseys, there wasn’t really a trend for them. So, I felt like I kind of created my own wave using different fabrics and materials,” Mona says. 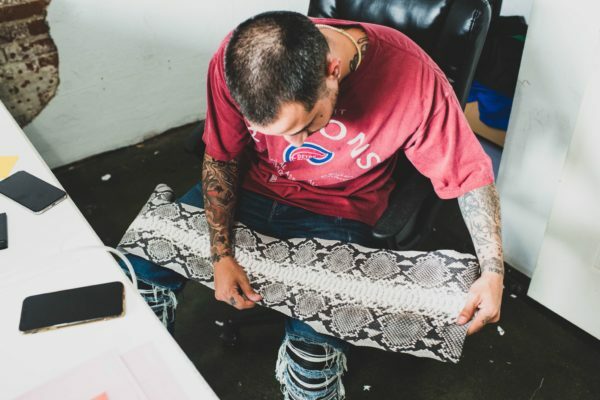 Rami Mona works with a piece of snakeskin at his Detroit warehouse. The first rapper who wore a Renzo Cardoni jersey was Fabolous. “I liked that he reached out, and I reached out back because he was somebody that (sparked) a trend back in the day with jerseys,” Mona says. 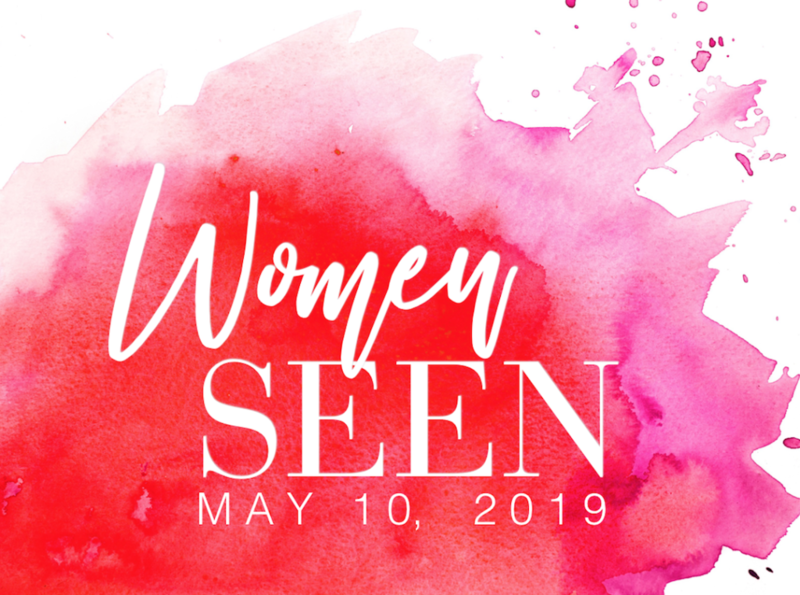 Since then, Mona’s client book has expanded to athletes, like Carolina Panthers quarterback Cam Newton, Dallas Cowboys running back Ezekiel Elliott and New York Giants wide receiver Odell Beckham Jr., and big-name stars like Khloe Kardashian, Drake and Justin Bieber. Up-close view of a Renzo Cardoni Cubs jacket. 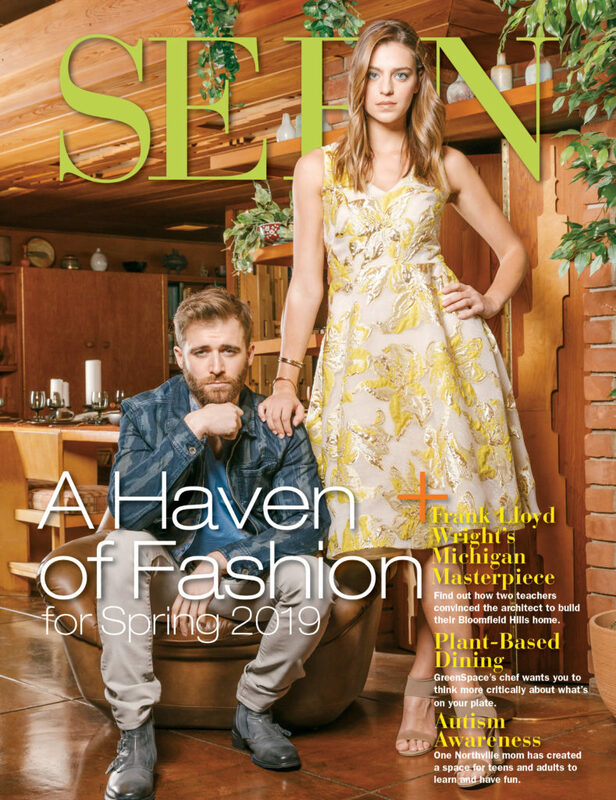 Most of Mona’s connections come from his longtime friend Ben Beard, a celebrity stylist known as Ben Da Don. “He basically took me to the next level when it came to being around certain people,” Mona says. Through his fraternity brother and football quarterback Colin Kaepernick, Beard says in a call from Miami that he created a network of contacts. He regards Odell Beckham Jr. as one of his best friends, and he also cites country artist Kane Brown and Fabolous as his clients. Beard attributes Mona’s success to his fresh take on traditional sports memorabilia. “As clothing and sports evolve, people are going to want to set themselves apart from everyday people that can just go into any gift shop and get a jersey,” Beard says. Renzo Cardoni University of Michigan basketball shorts. University of Michigan logo on Renzo Cardoni basketball shorts. Since every piece is handmade in Detroit, Mona supplies a limited amount of each design. 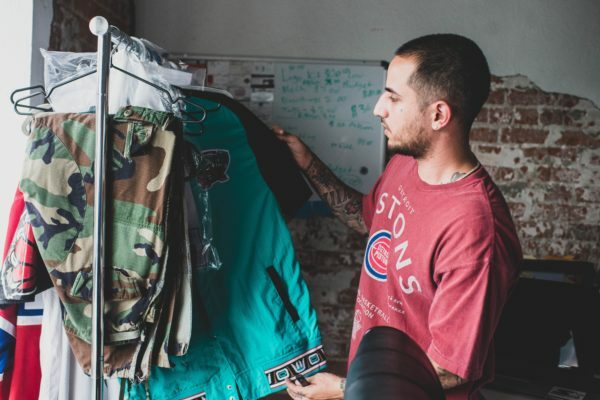 In addition to his embellished jerseys, he sells basketball shorts, and he adorns hoodies, T-shirts and hats with various dyes and materials. Mona drops pieces on his website every month, which he says can take as little as 24 hours to sell out. He also sells his products at pop-up shops, in various retail stores and through custom orders. Standard Renzo Cardoni sports hoodies for the NBA, NFL and MLB cost $545. Jerseys range from $395-$1,000 depending on the materials. Mona both deconstructs existing licensed jerseys and creates jerseys from scratch using his own fabrics. A seamstress sews Renzo Cardoni apparel at the Detroit warehouse. 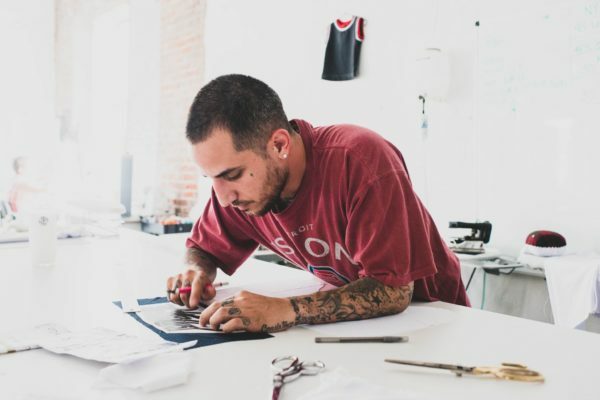 As a big sneaker fan, Mona often creates jerseys based on popular shoes. Inspired by the red and white Off-White Air Jordan 1 sneakers, Mona designed a Bulls jersey with inside-out red snakeskin as the numbers and letters. “That’s really one of my favorite pieces because that opened my eyes to see how creative I could really be,” Mona says. 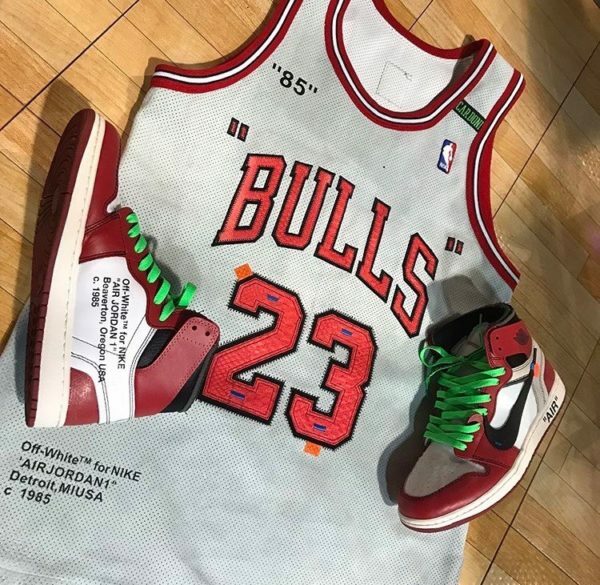 Off-White Air Jordan 1 sneakers and Renzo Cardoni Bulls jersey. With his foot in the door at Barneys, Mona created a collection for the high-end department store that will launch this fall and winter. “I’m talking about tearaway (pants) that are leather, shooting jackets in velour, basketball shorts in velour, basketball jerseys, like so much stuff. I designed everything,” Mona says. 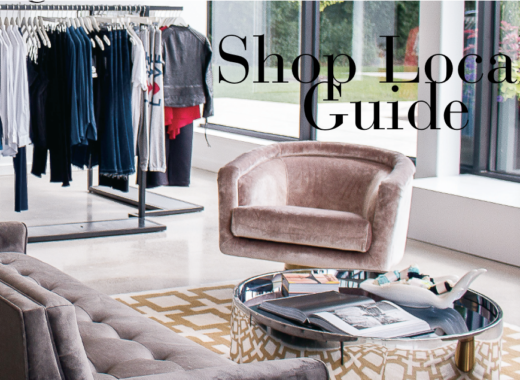 Mona expects these pieces to begin around $300, given the luxury brands typically carried at the store. 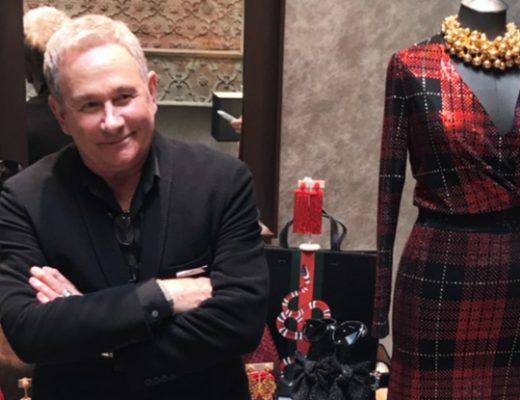 “That’s going to open the doors to different boutiques and department stores literally all over the world because now they’re seeing a side of Renzo Cardoni that’s never been done before,” he says. Rami Mona pulls a Renzo Cardoni jacket off the rack at his Detroit warehouse. Knowing the high prices of his pieces, Mona is designing a more affordable line that ranges from $50-$100. 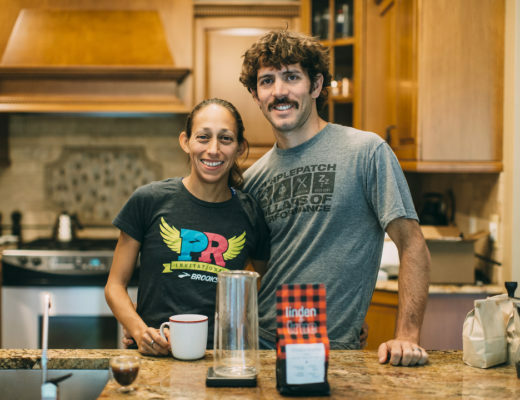 “I’m going to give you that price point where you can afford it. Just so you can be part of the culture,” Mona says. He plans to launch the merchandise online next year. While Mona attempted production in L.A. and New York in his early stages, he knew he wanted to build his brand in Detroit. “It sets a tone for people to be like, ‘Yo, he did this, you know. We can do this too,’ ” Mona says. Rami Mona sketches a Renzo Cardoni design at his Detroit warehouse. Mona hopes to continue expanding his partnerships with other brands, and he plans to send his Renzo Cardoni creations down the runway. 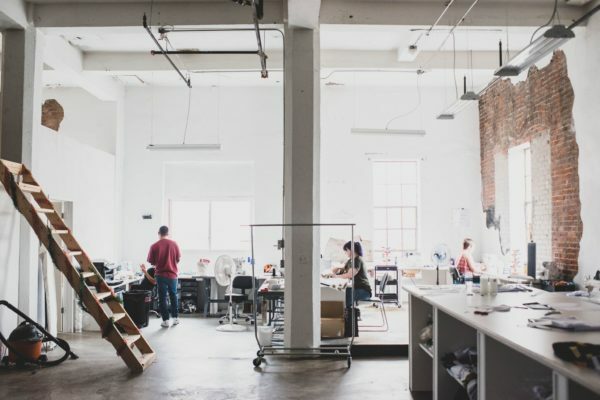 Every day brings him new glimpses of inspiration he incorporates into his growing business. “I love what I do because it’s so limitless,” Mona says.